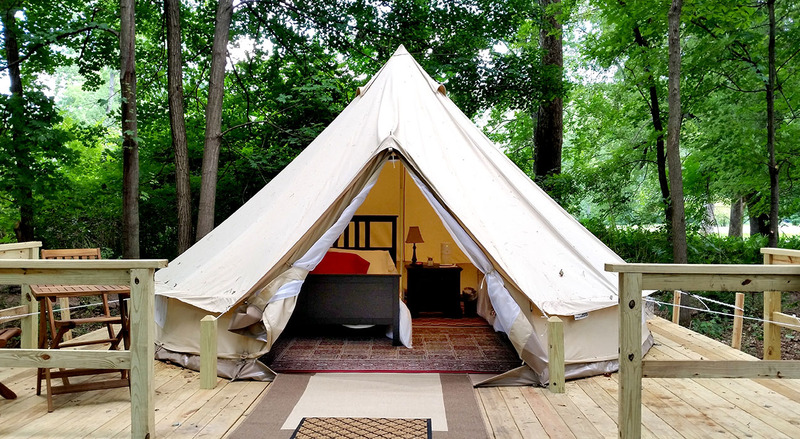 I always love to report on something new, and the newest addition to the accommodation options at Shawnee Inn and Golf Resort is their new glamping offering. We all know that there is something rather special about sleeping under the stars, waking up to birdsong, the smell of dewy grass and fresh morning air, but the reality of camping, battling with tent posts, pegs, hammers and blowing up a temporary mattress is far from glamorous and certainly not my idea of luxury travel. 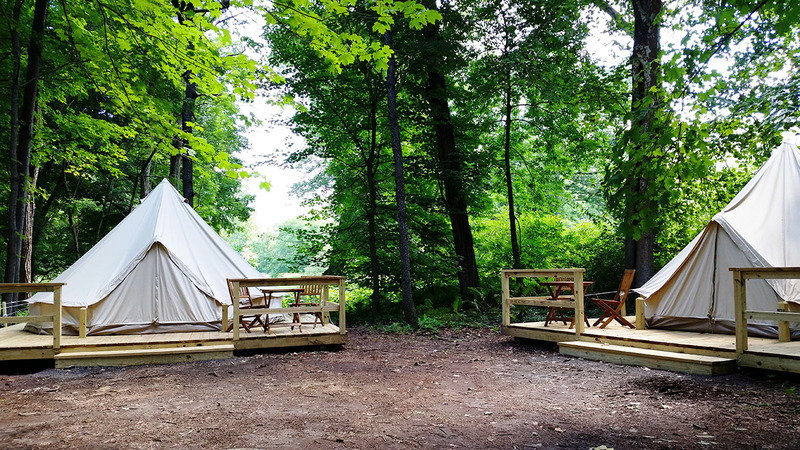 Glamping offers the best of both worlds and Shawnee Inn has opened up two brand new glamping tents so that you can share nature in a bit of style. 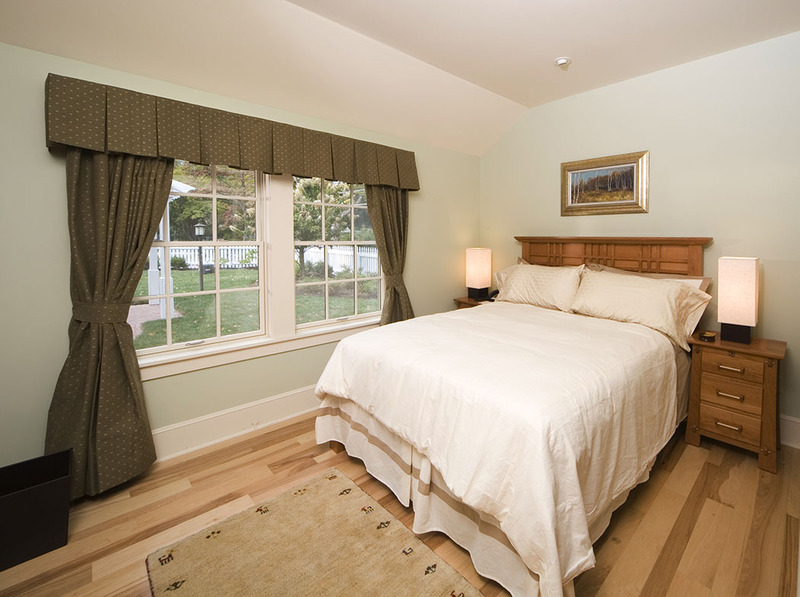 Why go to Shawnee Inn? “Now I, had the time of my life…” The Shawnee Inn is one of those mountain retreats that could have been the set of the Dirty Dancing movie. Rolling forested mountains drop down to clear lakes and there is no more beautiful time to visit than the fall when the leaves turn red (see picture above). The resort building is a historic wood fronted mansion with a dreamy terrace looking out onto the landscape and the lawns. This is an escape where you hike, bike, boat, golf, spa and now glamp and at just 70 miles from New York City and 100 miles from Philadelphia this far away world is only a weekend drive away. Experience the outdoors, bond with nature and each other without having to sacrifice the luxury. You arrive at the glamping location by a 20 minute canoe ride. 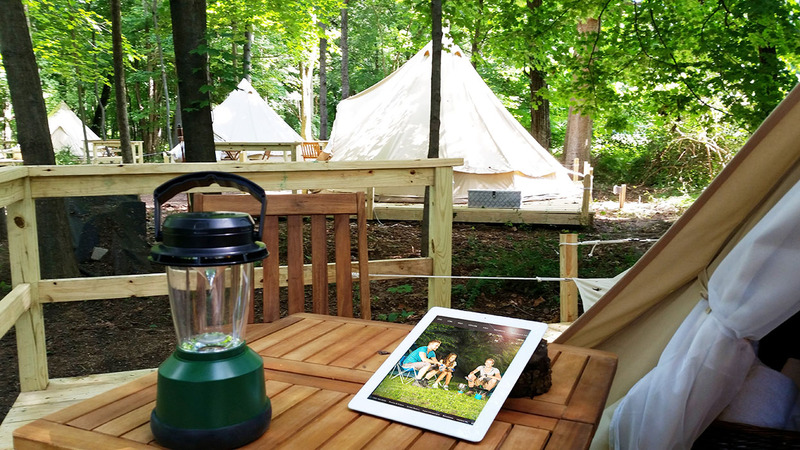 Each bell tent has already be pitched and furnished and ready for you when you arrive and includes one queen size bed, sofa which can sleep up to two, side tables, lamp(s), area rugs, deck with two chairs and table, lantern, electric, running water, and unbelievably in this remote venue, wi-fi. 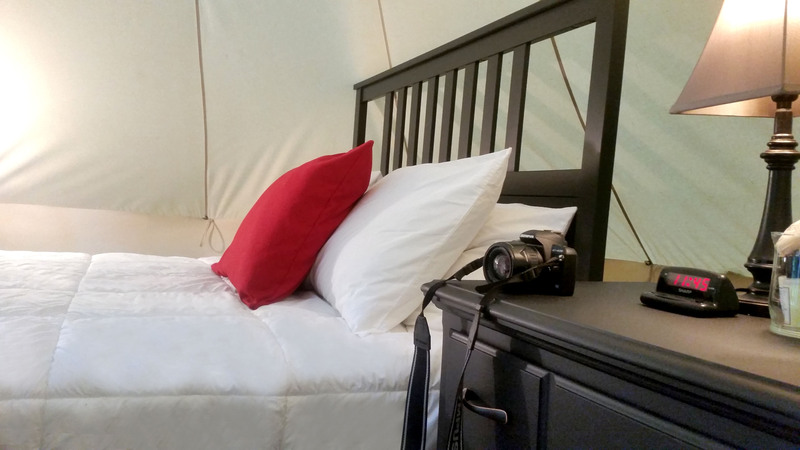 Bathroom and shower facilities are shared and located directly adjacent to the glamping site. Spend the night under the stars cozy and comfortable! In the morning, breakfast is served including fresh fruit and assorted baked goods as well as coffee, tea and juices. You don’t even need to bring your own marshmallows as s’mores around the camp fire will be waiting for you along with sodas, beer and wine. Ideal!